Home/SEO/Branded query optimization – How should you maximize visibility for branded queries? Before you jump into non-brand query optimization, you should know how to maximize visibility for branded queries. In the world of SEO, the daily task of optimizers is to watch out for opportunities and capture them. This is most often attained through page optimization, technical improvements and content distribution after development. The leading edge of success is judged by the rankings, especially the rankings which are achieved for the non-branded phrases. Read on to know about some SEO activities around branded queries. 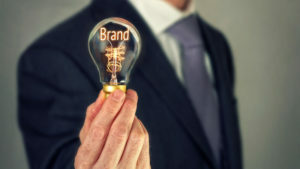 Brand terms – Why are they important? The main thing that you need to understand is that brand phrases aren’t only worth pursuing but you need to pursue them only while tackling a new SEO job. If people are looking for products by name, it is most likely that they’re consumers which are within the sales funnel and hence they are more likely to purchase things than those who are searching for non-branded phrases and high level phrases. Is this true? Well, Google says that as compared to the non-branded keywords, branded ones have 2 times higher conversion rate. While assessing the organic presence of a brand, the very first thing that optimizers do is to go to Google.com and Bing.com and query the specific brand name. Most often, what you will see are the paid links which are followed by the website of the brand which is ranked first in the organic results. The sitelinks are always the primary focus and although we can’t dictate what exactly we want to be featured in the search engine results but we can definitely use the webmaster tools to exclude the URLs from being featured. Your next task is to select some favorite keyword tools and give a search for the brand name to check out what the most common brand plus phrases are. You may see that it is your brand name and a type of product but it is most likely that the most searched query is the name of your brand and either promo codes or coupons. Do you think that your website has a page where you publish the latest coupons and discounts and which speaks of free shipping? If answered no, you need to take into account the value of creating a promo code campaign, a landing page and link from the site-wide navigation. Therefore, if you’re wondering about the ways in which you can optimize your branded queries, you can take into account the above mentioned facts.